A dense population and recurring conflicts have placed the Gaza Strip’s environment under considerable pressure, damaging critical infrastructure and generating debris. Environmental governance in both Gaza and the West Bank has been made more complex by the occupation, which has compounded and often actively worsened issues such as water scarcity, pollution, land degradation and waste management. A brief introductory overview of the environmental issues facing the Gaza Strip and West Bank, with facts, figures and further reading. The latest report by the International Law Commission in its ongoing study into the protection of the environment in relation to armed conflicts deals with environmental protection in situations of occupation. This blog looks at the new draft principles, their basis and argues that they should be strengthened. 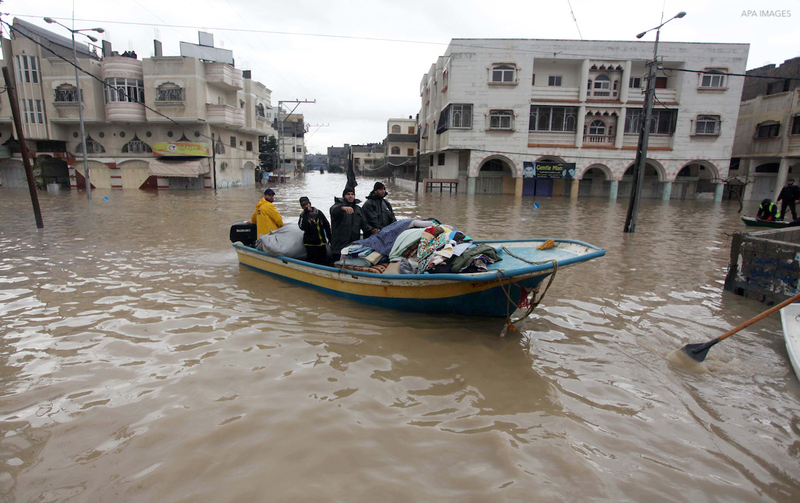 The widespread damage to urban areas in the latest conflict in Gaza has generated a range of toxic remnants of war, from debris, to sewage and water contamination to the residues of weapons, there is a pressing need for an environmental assessment in the affected areas. "Almost two decades ago, Palestinians from #Gaza would come here to enjoy the view, the natural habitat, and the wildlife. Today it’s a dumping site for construction debris and sewage, letting off pungent odors and posing a public health risk to Gazans"
This policy brief examines the environmental and political impact of climate change on Palestine-Israel, particularly in the Occupied Palestinian Territory (OPT), offering recommendations for political and practical climate change adaptation. This RAND study investigates the public health consequences of Gaza’s water crisis, finding that more than a quarter of all reported disease in Gaza is linked to poor water quality. The study also examines the steps necessary to improve water supplies to the Strip. Report on the use of aerial herbicides by the Israeli Defence Forces on agricultural areas along the border of the Gaza Strip and its implications for human health and the environment. During periods of rainfall, the sewage/storm water station receives rainwater mixed with sewage. This must be pumped out to the storm water infiltration ponds, to the sea or to open areas. Israel has set out less stringent regulations in industrial zones in settlements and even offers financial incentives such as tax breaks and government subsidies. This policy has made it more profitable to build and operate waste treatment facilities in the West Bank than inside Israel. Even without a peace plan, environmentalists have recognised that the pollution and water problems need common solutions. The humanitarian problems posed by the substandard living conditions in Gaza require the attention of international actors associated with the peace process. If the living conditions in Gaza do not improve in the near future, the region will inevitably experience another round of conflict, more violent than the last. This report found that insurmountable domestic legal barriers were creating environmental injustice. 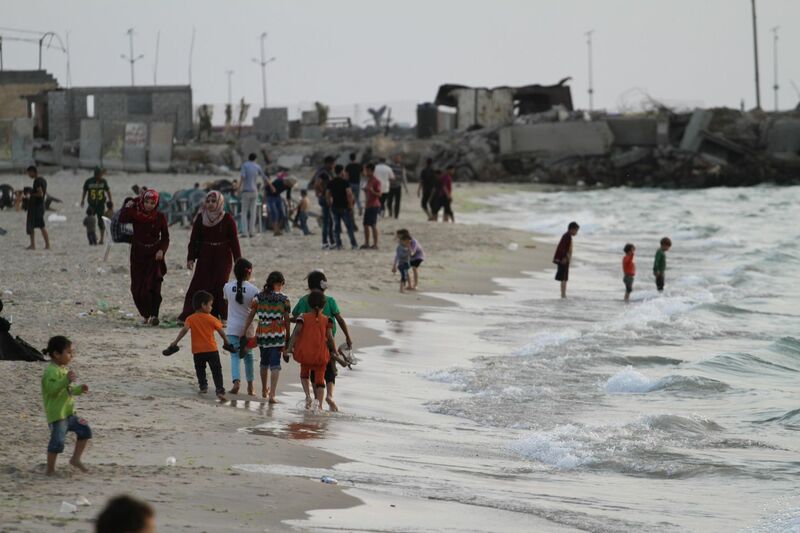 UNWRA | Gaza in 2020: A liveable place? The broad objectives of this study were to: highlight the longer-term effects and implications of current developmental and social trends and challenges affecting the Gaza Strip; raise awareness of these both locally and internationally; and, inform the strategic programming of the UN. The report reveals in a striking manner the linkages between environment and security in the occupied Palestinian territory. The aim of this desk study was to outline the state of the environment and identify major areas of environmental damage requiring urgent attention.